Thomas James Eckery, Jr. went to be with the Lord on the morning of November 19, 2018 after a short stay at Bryan East Hospital in Lincoln. He was born on February 9, 1926 to Thomas James Eckery, Sr. and Joanna “Agnes” O’Neal in Lincoln and was the oldest of three sons. He entered the military to serve his country for 18 years in the U.S. Navy and U.S. Air Force and was a weapons instructor. He graduated from Lincoln High School and attended the University of Nebraska majoring in business administration and worked at Hy-Gains Electric as the purchasing agent until he retired. Tommy married the love of his life, Patricia McLaughlin on October 1, 1952 and they had two children, Jennifer Lynn and Steven James. Tommy was devoted to his wife, family and friends. Their home was always open and welcome for anyone who needed a place to stay. When his wife passed away in the 2000, he continued to fulfill her volunteer service to the Southview Christian Church in Lincoln and every month helped prepare the church bulletins for Sunday church service. Tommy was a member of the Elks Club, VFW and Disabled American Veterans. For over 20 years, he volunteered and sold poppies raising the most dollars in poppy sales to support the veterans. 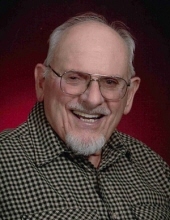 He was an avid bowler and bowled in a classic league, and loved fishing, hunting and sports, especially the Nebraska Cornhuskers. He and his son Steven, brother and nephew brought home deer every year from their annual hunting trips to Chadron in the Pine Ridge area. Tommy loved fishing, especially with his brother-in-law Kenny. They had special fishing spots around Lincoln, Fremont and in Minnesota, always trying to break their record for the number of walleye, crappie and bass caught, and always providing fish for annual fish fries. His favorite Husker sport was baseball. For 20 years, rain or shine, in freezing temperature or sweltering heat, Tommy attended every home game except for this year, when his health would not allow it. He sat in the front row above the visitors’ dugout with family and friends and everyone knew him as the guy shouting “Throw Strikes!” Tommy’s second favorite Husker sport was Nebraska volleyball. He never missed a home game and he became friends with everyone who sat around him. Surviving him is his son, Steven James and wife Kelly, who selflessly was the best care nurse he ever had, which allowed him to stay home until his last days. Other survivors include his four grandchildren, Dylan (Amy) Eckery, Ryan Eckery, Daniel Eckery, and Kristin Eckery. Brother-in-law and family, Kenny McLaughlin, Rhonda Himberger, Robin McLaughlin, Kelly Toovey, and KC McLaughlin. Nieces and nephews, Patty Kent, Linda (David) Youmans, Sue (Rick) Johnson, Mike (Deb) Eckery and many great-nieces and great-nephews. He was preceded in death by his parents, wife Patricia, daughter Jennifer Lynn, and two brothers, Robert and Donald Eckery. A deep appreciation and heartfelt thank you to all the nurses, assistants, doctors and other medical personnel who cared for Tommy during the week he was at Bryan East Hospital for their outstanding medical care, dedication and compassion. Also, a special thank you to Rev. Bigley at the First Christian Church in Beatrice and the Beatrice Legion Auxiliary. We love and miss you Tommy Eckery! Funeral services will be held at 11:00 A.M. on Saturday, November 24, 2018 at the Fox Funeral Home of Beatrice. Burial will be at the Evergreen Home Cemetery of Beatrice with military rites. A memorial has been established to the First Christian Church of Beatrice. The body will lie in state at Fox Funeral Home from 8:00 A.M. Friday until time of service on Saturday. www.foxfuneralhome.net Fox Funeral Home of Beatrice is in charge of the arrangements. To send flowers or a remembrance gift to the family of Thomas J Eckery Jr, please visit our Tribute Store. "Email Address" would like to share the life celebration of Thomas J Eckery Jr. Click on the "link" to go to share a favorite memory or leave a condolence message for the family.